Texas Aquatic Enterprises specialize in the aquatic management and operation of commercial and community facilities. We take great pride in providing a clean, safe and well-guarded facility. It is our desire to be a part of your community and to help you reach the goals you set in making the most of your aquatic facility. We care for each pool as if it were our own – providing the most responsive management, reliable maintenance expertise and top-performing staff. At TAE, our full-service pool management services are tailored to your specific needs. 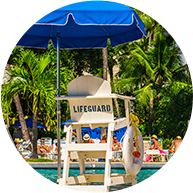 Our contracts include custom packages consisting of life guarding, pool cleaning, chemicals, supplies, spring opening and fall closing of your facility all managed by our professional, experienced and full-time staff. Our repair department consists of trained professionals who specialize in the pool repairs and renovations. We are experienced in all types of pool repair and renovations such as pool replaster, tile, coping, skimmer replacement, pump room renovation and filter cleaning just to name a few. Our work is backed by a 1-year limited warranty. We specialize in recruiting, training, certification, management and staffing your pool. 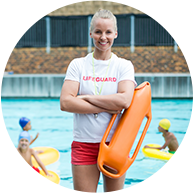 Our lifeguard certifications include are Red Cross for Lifeguarding, First Aid, CPR/AED for Professional Rescuer and Automatic External Defibrillation (AED). In addition to safety training, all personnel are thoroughly trained in professionalism and customer service. 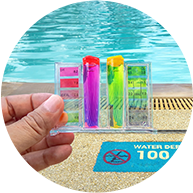 They regularly attend company in-services for continuing education in areas of safety, cleaning of the pool and pool area, water chemistry as well as maintaining the pool equipment. Our full time professional cleaning staff is trained in water chemistry, cleaning and maintenance to ensure your pool is clean and clear. 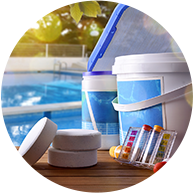 Proper water chemistry is necessary to ensure the health and safety of your guests as well as maximizing the life of your pool plaster. 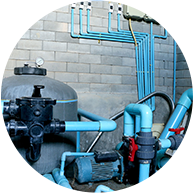 Additionally, our cleaners are knowledgeable in pump room operations to ensure your pool filtration and chemical disbursement equipment is working properly. Our compliance staff are Certified Pool Operators (CPO). This certification ensures customers that they are working with trained professionals. CPO certified individuals are knowledgeable and trained to specifically deal with commercial pools in areas of management, calculations, chemistry, regulations, guidelines, facility safety, teaching protecting people, promoting efficiency and preserving property. 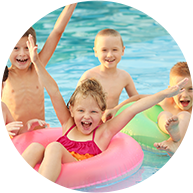 Pool Party Lifeguard Staffing, CPR Training, Water Balancing, Consulting, Budget, Planning, Leak Detection & more.